In 1998, Planet Poker became the first online poker room to allow players to play online poker for real money. Since then, online poker players have been patiently waiting for the day when online poker could be played from anywhere in the world, and not just from a home computer. Mobile poker rooms were something that no one ever considered back then and, in 1998, the only technological advancement available for users with mobile devices was the opportunity to download a ringtone. Laptops provided an answer, to a certain degree, and with the introduction of internet-capable mobile devices, they too allowed players, with good eyesight, to compete in poker tournaments and cash games on their travels, that’s if they could afford it of course. Mobile poker rooms, along with a wireless internet connection, were still distant dreams to most online poker players back then. 1. How Do I Play Mobile Poker? 2. Do the Games Play Differently? 3. Can I Play Mobile Poker for Real Money? 4. Is It Safe to Play Mobile Poker? 5. What Games Can I Play on Mobile? 6. Can I Play Multi-Table? 7. Can I Make a Deposit on a Mobile Device? 8. Will I Still Get a Welcome Bonus on a Mobile Device? Mobile corporations started producing mobile phones with much larger screens, but this only solved half the problem. Online poker players that played at non-dedicated mobile poker rooms, through an internet connection, were still subject to small command buttons and extremely small playing cards. Even with the introduction of specialised function keys and coloured decks, it still didn’t make life any easier. It was only when online poker players started complaining about the lack of mobile poker rooms that a handful of leading online poker sites began developing software to make online poker compatible on mobile devices. After the leading online poker rooms started introducing poker on most mobile devices, they stumbled onto their next problem, Mac users. As most Mac users will know, finding an online poker room that accepted your bets back then was near impossible. Online players either had to use an alternative browser on the iOS operating system or simply not play at all. 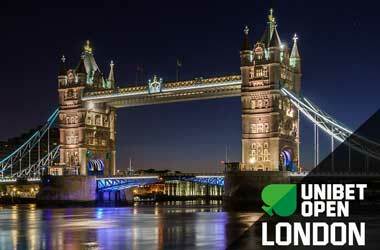 Online poker rooms that optimised their online poker sites for mobile use experienced the same problem. As technology became more advanced, it saw other online poker rooms undertaking the development of apps for iOS and Android devices. 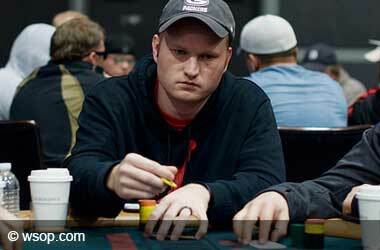 The history of mobile poker stretches back as far as 2006. The mobile poker pioneers were the notorious Pokerroom and UltimateBet. Back then, online poker could be enjoyed on Java supporting mobile devices, and the mobile apps had extremely limited features along with low detailed graphics. The first generation of mobile poker apps suffered from internet connection problems as mobile networks weren’t advanced enough to handle real-time gaming. Because the playing experience and quality of these poker apps still lacked a great deal, they failed to become a major hit amongst online poker players. Wireless mobile networks and cell phone technology had to advance before mobile poker could be taken seriously greatly. Fortunately, this occurred thanks to the introduction of modern smartphones. In 2010, smartphones were finally advanced enough for online poker players to enjoy mobile gaming. Mobile gaming also grew in popularity at a rapid pace thanks to the advancement of wireless connections. Online poker players eventually had access to 3G and WIFI connections that allowed for smooth gameplay functionality without any interruptions that were previously a major issue. The first online poker rooms that launched poker games for modern smartphones were Full Tilt Poker and Switch Poker. 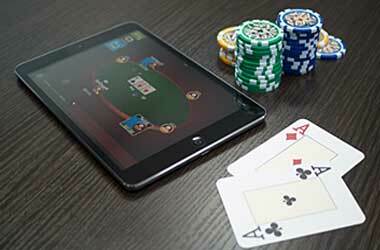 Both online poker rooms took different approaches to how they would offer mobile poker. Switch Poker used a web app that allowed players to instantly log in and play online poker without the need to download any additional software, whereas Full Tilt Poker decided to create a mobile app that players could download from the Google Play Store. The web app from Switch Poker only offered cash games for Texas Hold’em that was available on iPad, iPod Touch, and iPhone’s. It was the first-time online poker players could play online poker for real money on an iPhone device, and the interest obviously grew immediately. On the first day, after Switch Poker launched their web app, more than 1,000 registrations were accepted, and they managed to be the number 1 search result for online poker. Rush Poker Mobile was launched for Android by Full Tilt Poker within days after Switch Poker launched their web app. Full Tilt Poker experienced a rocky start with their mobile poker product as they eventually had to remove the app from the Google Play Store weeks after it was introduced to the public due to strict policies from Google against gambling apps. This didn’t stop Full Tilt Poker from offering their mobile app, as they simply provided a direct link from their poker site until they eventually had to shut down in Black Friday during 2011. The next online poker room to launch a mobile poker app was Bwin, the former Ongame network owner. Bwin initially launched their mobile app back in 2007 but made a return with an innovative iOS version of their software. 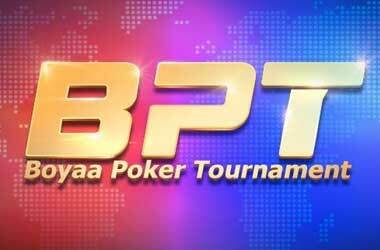 Bwin Poker launched the very first iPhone Poker App in January 2011. It was also the very first mobile poker app that was available in the Apple iStore for players to download. Like Switch Poker and Full Tilt Poker, the app from Bwin Poker was extremely simplistic. Like all apps back then, they were essentially stripped-down versions of their desktop sites and did not feature all the game variations that online poker players were used to. However, PokerStars was the game changer in this regard when they launched their very own mobile site in late 2011. When PokerStars acquired Cecure Gaming, a mobile gaming firm, they finally launched their mobile product in 2011. PokerStars is considered the world’s largest online poker room, and the poker site kept a close eye on the mobile developments before they launched their mobile product. Prior to the launch of PokerStars Mobile, most mobile poker apps didn’t offer multi-tabling or even tournaments for mobile poker players. However, PokerStars Mobile introduced every cash game you can think of from Omaha to Texas Hold’em and allowed players to join tournaments and Sit & Go’s through their mobile offering. When it was initially launched, it did not offer Zoom Poker, the fast-fold variant that most players are used to these days. But, it wasn’t long until this was also added by PokerStars. Today, it’s considered the most complete and well-rounded mobile app for online poker players, and paved the way for other online poker sites to follow in their footsteps. Mobile Poker is increasing in popularity every day, and online poker rooms are continuously looking for innovative ways to attract more players to their mobile products. One of the most popular trends when it comes to mobile poker is Fast Poker, which perfectly suits mobile poker. Fast Poker is easy, convenient, and quick. Fast-folding poker was initially introduced by Full Tilt, thanks to their launch of Rush Poker, and since then there has been many versions of fast-folding poker. Microgaming has Blaze Poker, PokerStars has Zoom Poker, and iPoker has Speed Hold’em, just to mention a few. Fast Poker is popular amongst mobile poker players as you can participate in more hands hourly. When it comes to mobile poker apps, you will find that Android and iOS are currently the market leaders, and more and more poker sites are developing apps for both Android and iOS devices. One online poker room that is taking a completely different approach to online poker is the small iPoker skin known as WinPoker. This online poker room is taking mobile poker onto the Cloud which is a cost-effective approach that promises players the fully featured desktop version and playing experience for all Android tablets and iPad devices. WinPoker Mobile utilises the PokerCloud Remote Desktop app to connect to the WinPoker server that’s currently running with full desktop software. Players are able to enjoy all the features you would get on a desktop version as players are essentially playing on a desktop version of the software through their iPad’s and tablets. One thing is for sure; mobile poker is just getting started. Several leading poker sites have launched their own mobile product to compete with the vast range of online poker rooms. They understand that the only way they can stay ahead of their competition is by offering better graphics, new innovative features, generous bonuses, and a larger selection of online poker variants. Playing mobile poker is fundamentally the same as playing online poker on your desktop. With mobile poker, you are able to go the mobile poker site or you are able to download an app from your app store. You will need to register to start playing. Playing mobile poker is the same, but it is just on a smaller screen. The actual poker games on mobile are played the same in terms of rules, but you will be using a touchscreen instead of a mouse. The screen is smaller and the games have been optimized for players on the go, so you will find quick win games. Yes, you are able to play mobile poker for real money, as you will have access to a mobile cashier. Yes, it is safe to play mobile poker. Mobile poker sites and apps use the same encryption and security technology as their desktop versions. However, you should only play on a secure Wi-Fi connection as an open Wi-Fi could put your mobile device at risk. You will have access to a great selection of games on mobile including Texas Hold’em, HORSE, Omaha, tournaments and more. This will depend on your mobile device. There are some apps that will allow you to play multi-table on a tablet because the screens are larger than a smartphone. On a smartphone, you will only be able to play one table. Yes, mobile poker sites and apps have a cashier where you are able to make a deposit. They offer various ways to make deposits and withdrawals. Yes, you will still be able to claim your welcome bonus on a mobile device. With a welcome bonus, you will need to wager a certain amount before the bonus is released and this is the same on mobile.